Before we get into the tutorial, I have to tell you something. I was seriously scared to try this. I don’t know why. Resin seemed like a step outside of my comfort zone so, I really did end up reading a few solid tutorials and before I started, I sat down and read through ALL of the directions. 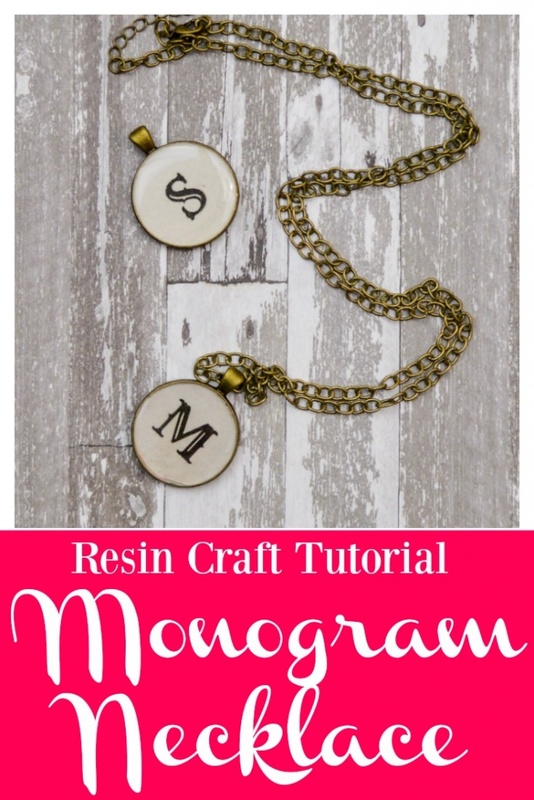 I’m so glad I got over my fear because these DIY Monogram Necklaces came out totally adorable! Looking back, I have no idea what I was so worried about. The resin was incredibly simple to work with. 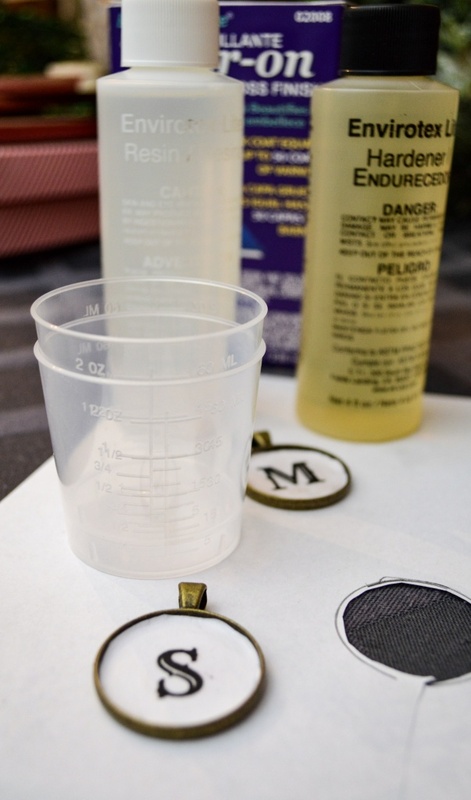 The project itself is really easy, so it was a great way to start my resin journey. The first step, it turns out, probably took the most time in this project and that was deciding which font to use for my monogram letter. 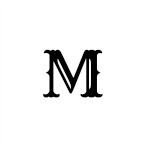 I used picmonkey to design my monogram, but you could do it in any software you want, really. 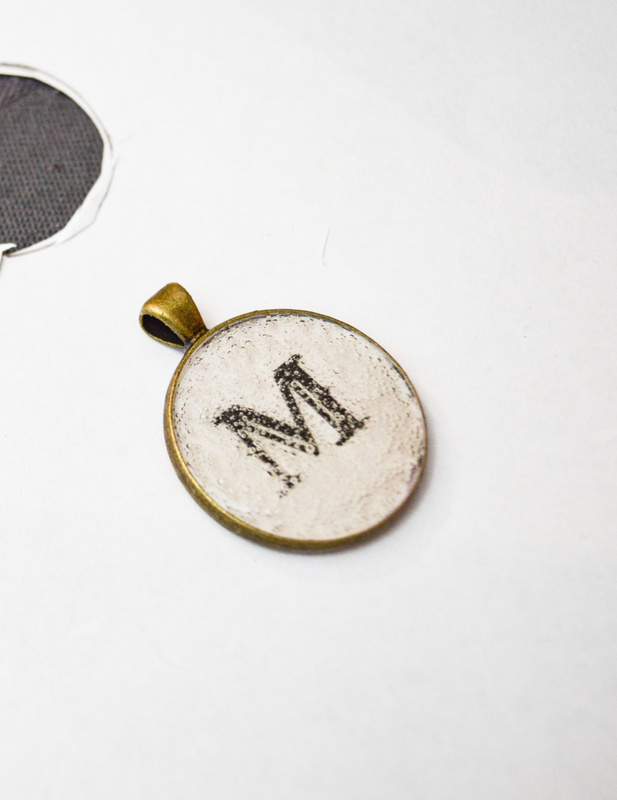 When I printed mine, I resized the graphic to 150×150 and that was just the right size for my pendant. I played around with a few different sizes to see what worked best, so depending on the size of your bezel, be prepared to play around with the size as well. 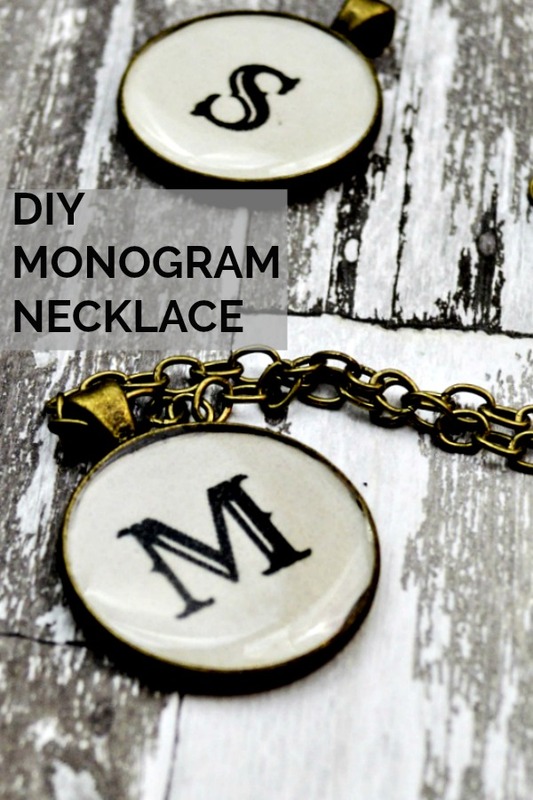 This is hardly a step, but the second step is to cut out your printed monogram. So here’s what I did. I placed the bezel over the paper so that the monogram seemed like it would be in the center of the bezel (I know this is not super scientific), traced around the bezel with a pencil, then cut around the pencil line. 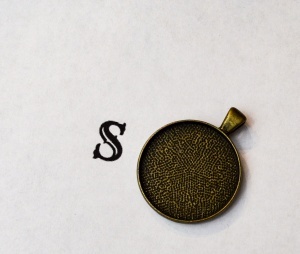 This will leave you with a circle that is actually a smidge bigger than you need it to be. But this on purpose. Well, it wasn’t at first, but it turned into a happy accident. 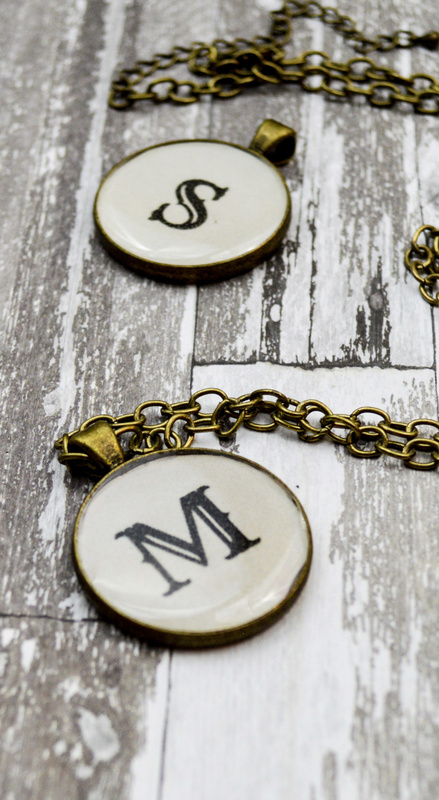 Once you cut out your monogram circle, center it in the bezel. When the letter is basically centered, you can sort of score or push the paper with your thumb so that it’s pressed up against the sides of the bezel. Take the paper out and cut off the excess. I promise this makes more sense when you’re doing it as opposed to reading it. I ended up cutting out two more blank, plain white circles to put underneath the monogram just to make sure none of the darkness of the bezel showed through. 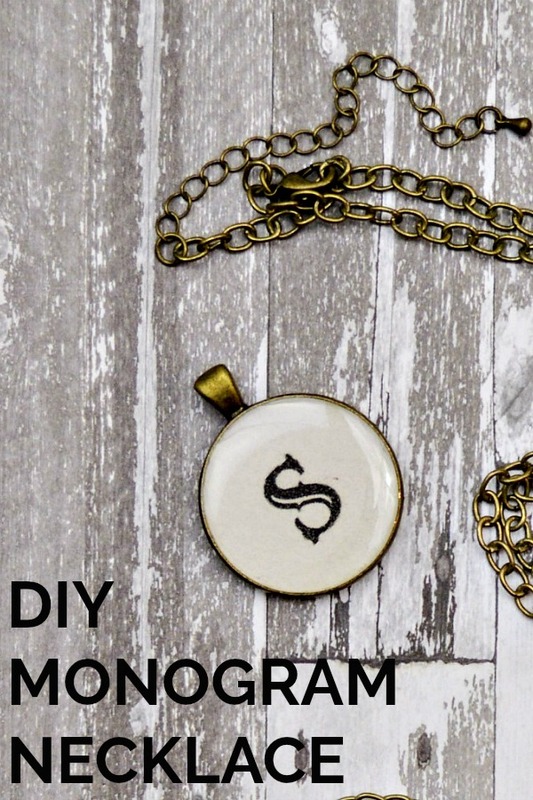 Next you’re going to mod podge the monogram into the bezel. This will help protect the paper a little and hold it steady once you’re pouring the resin on. 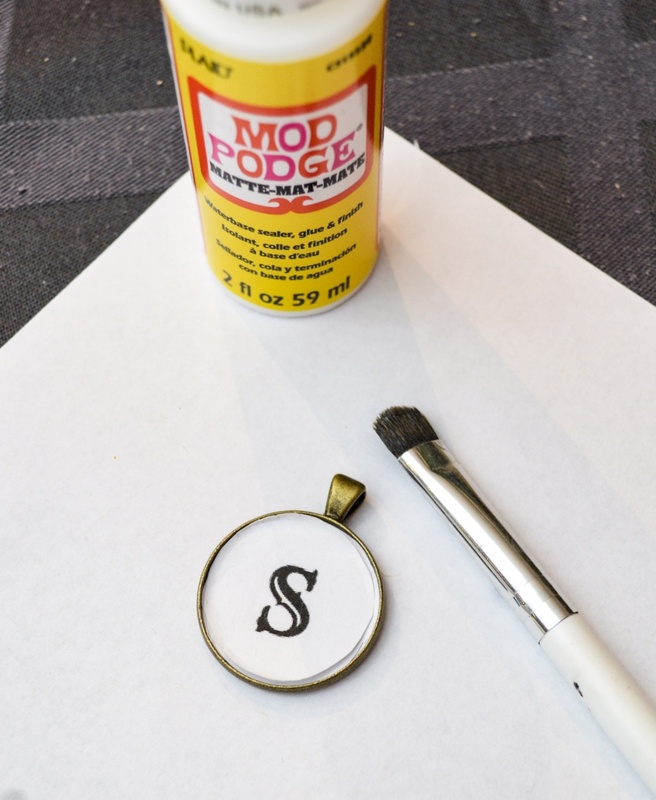 Use your small paint brush to give it a thin coat of mod podge and make sure you keep an eye on the monogram and that it stays centered. Let the mod podge dry. Completely. Totally dry. Got it? Once you’ve finished stirring, the resin is ready to pour. You have about 25 minutes to work with the resin at this point, but it’s best to pour asap. 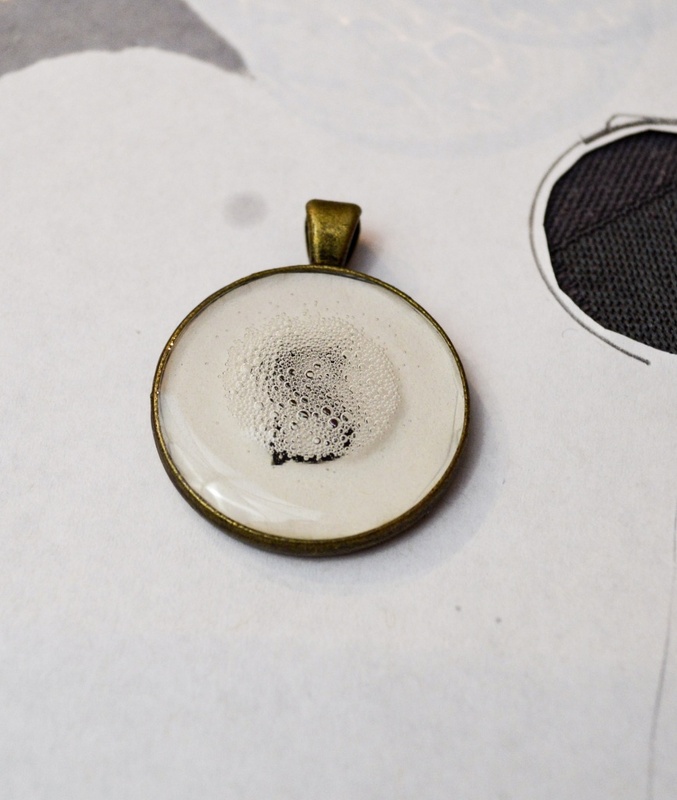 The resin is self leveling, so carefully pour just enough resin into your bezel to fill it and create just a little bit of a “dome”. 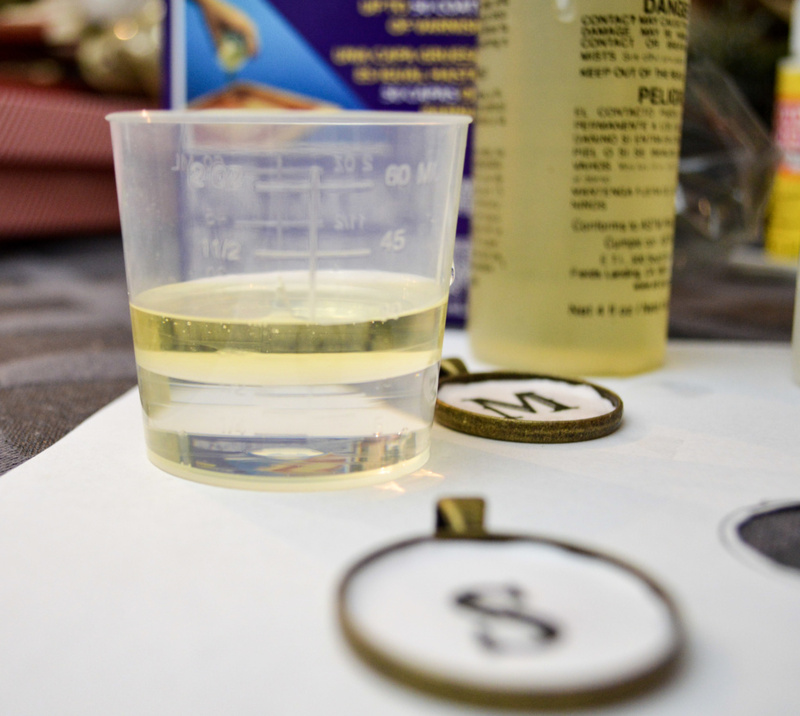 The resin isn’t a super quick pour, it’s somewhere between honey and water, so this part isn’t difficult. 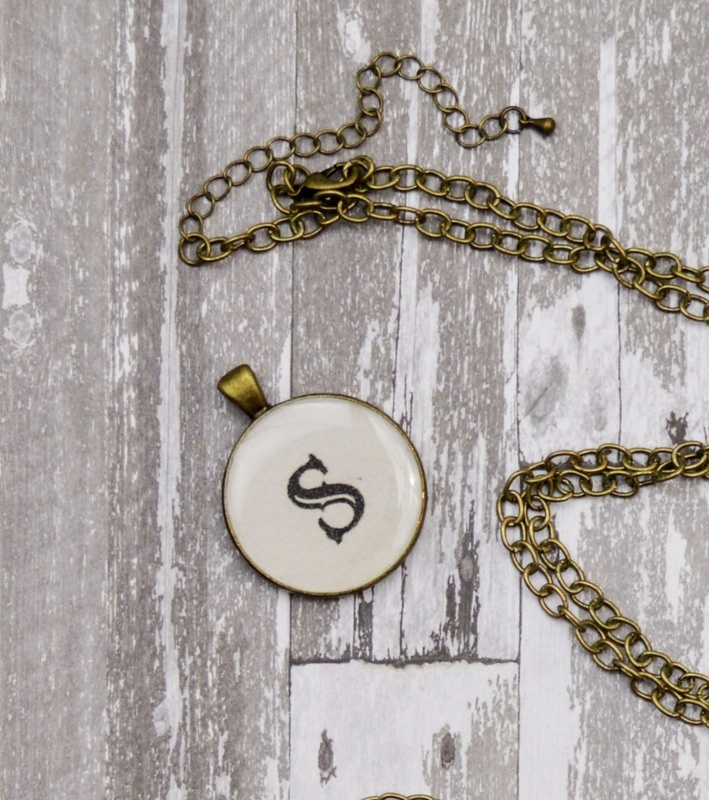 Cover your pendant with a bowl or something else to protect it from dust and debris. Wait 15 minutes. (Do a 15 Minute Cleaning Interval while you wait! After 15 minutes, all of those bubbles you saw after mixing are going to float to the top of the resin. This is where the straw comes in. You are going to gently blow on the bubbles and they will magically disappear. Ok, it’s not magic, it’s carbon dioxide that actually breaks up the bubbles. Recover your pendant with your bowl or other cover. The resin will take 7 or more hours to set up and 3 days or more to completely cure. Read the instruction as the times can vary widely depending on temperature and humidity. Here’s what I love about this project. It was really incredibly easy. A tiny bit time consuming, but we’re talking maybe an hour. And the simplicity of the necklaces is just perfect. This was really the perfect place to start with resin. I’m over my irrational fear of it and so ready to try another project!